The Rat is from New Bright's Pro Dirt RC car line and given its fairly low price for its size, I didn't have very high expectations for its performance. I did, however, expect to get roughly what I paid for. After taking it out of the package and noticing it had the same motor & transmission as the horrible Interceptor & Velocity buggies I've previously tested, I feared I was in for another huge disappointment. 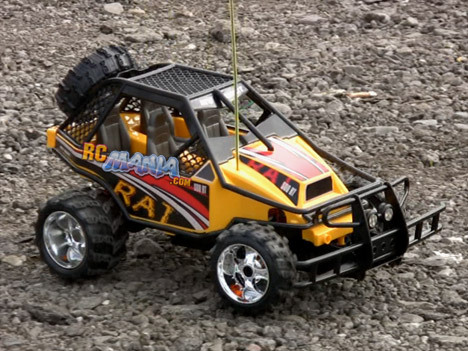 The New Bright RC Pro Dirt Rat is just another member of the RC Malarkey family. Somehow the mostly-reused failure of a chassis platform seemed to slightly out-perform its predecessors, but the abysmal radio range wipes out this minor advantage, and then some. This car is a real shame!